Up to 5,000 people have taken part in a protest march in Cork city centre to highlight the ongoing plight of the Vita Cortex workers. 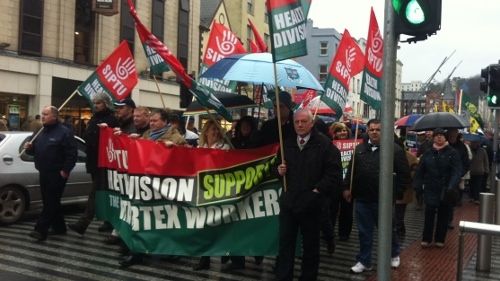 Among the unions who took part in the rally were the INTO, the INWO, TEEU, Impact and SIPTU. Gardaí say it was one of the biggest protest marches to be seen in the city in recent years. After the march, protesters also gathered on the Grand Parade where they were addressed by a number of the workers and members of ICTU.